Bruce Tambling is an award winning musician, producer, audio engineer, composer, video editor, entrepreneur, web developer and teacher with many years of professional experience in the content creation industry. He has performed internationally on drums, percussion and keyboards in many genres including jazz, classical, rock, funk, electronic and world music. 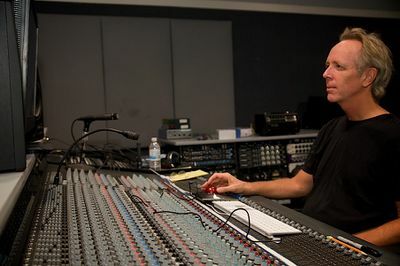 Audio engineering and production credits include hundreds of albums for major record labels featuring: Motown, Windham Hill, Sony, BMG, Atlantic, Tommy Boy, Warner Brothers. Dialog editor credits include: Jeff Bezos, Quincy Jones, Sally Fields, Jack Welsh, Bill Gates and President Jimmy Carter. Bruce has composed original music soundtracks for many feature films, documentaries, video games, commercials and TV shows including: 20th Century Fox, New World Pictures, PBS, CNN, NBC, HBO, NASA, Apple Computer, Nissan, and BMW. Currently Co-Director of Music Technology at Foothill College, Bruce continues to actively engineer/produce music and owns/operates one of the top recording studio facilities in the San Francisco Bay Area. He is one of the few Avid Certified Expert Level Pro Tools Instructors in the world. Obsolete, but shows some history.